Someone listened to me the other day. Not only did she listen, she also gave me her name, phone number, and address. If I have to call back with respect to the same issue, I don’t have to navigate an anonymous web of call center connections, only to have to explain my situation all over again. I can go to a real person who knows my story. Sharon at Staples personalized my transaction simply by attaching her name and contact information. She made it so much easier to get something done. 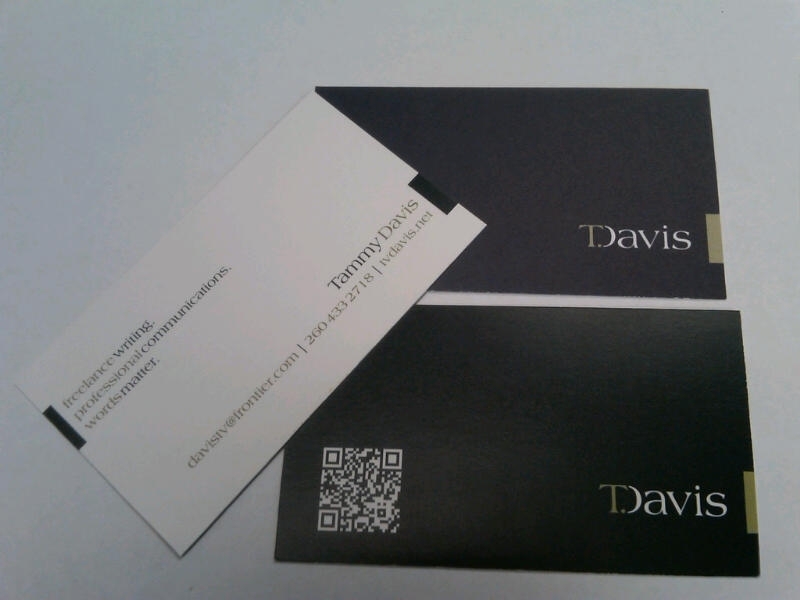 I called Staples last week when I had a problem with new business cards I had printed. Though the printing itself was spot-on, the cards just didn’t meet my expectations. Their definition of matte was a little too matte for me. Technically, Staples had delivered what it had promised, but I still didn’t like it. After putting in my dues on hold, I landed on Sharon’s phone, and she helped find a solution that satisfied me. She took personal responsibility by giving me her name for future contact. That makes a good story by itself, but there’s more. Staples wasn’t the first place I had gone to have my cards printed. Originally I had given the order to another company, who printed and delivered them a day early. Unfortunately, they weren’t right. The trim was off, leaving the design out of balance. It wouldn’t have been a big deal if the company had made it right, but I’m still awaiting a response to the complaint I submitted three weeks ago. Since I had to submit my complaint in an online form, there was no email attached for follow-up. As far as I know, my comments disappeared into the ether. I don’t even have a mechanism to follow up. To me, this is the corollary of one of the lessons my dad taught me: never write an anonymous letter. If it I’m not willing to sign my name to it, it’s not worth sending. Conversely, if you provide a mechanism for feedback, make it real. Provide specific contact information or at least a reference number for my case. Transparency works both ways. Update: As I read the draft for this post, I decided to give the first company one more try. I located a phone number and ended up talking to a real person. He still didn’t resolve the issue–he submitted it to a design tech for “further review”–but he did apologize for not having offered any response to date. We’ll see what happens. Object lesson: it’s harder to ignore a phone call than an email. That’s one of the reasons I was GLAD to be done with home theater installing. People wanted my HOME phone number, my PERSONAL email, to deal with problems that I only wanted to handle during MY WORK HOURS. BUT…I had to be able to deal with the customer and give them a resource to turn to when the gear goes up in smoke. BUT…not at 2 AM. Good grief.